Is ‘Obamacare’ bad for Small Business? Chances are you haven't read all thousand pages of the Patient Protection and Affordable Care Act. If you did chances are you are one in a million. Give yourself a high-five. For the rest of us slackers, we thought we'd take a shot at explaining just how 'Obamacare' will effect small businesses when it is fully implemented next year (an area of great contention). To begin, a small business is defined as any privately held business with between 100 and 500 employees and makes no more than $21 million per year. The basic criticism of Obamacare is that it will make employers think twice about hiring. That is due to the tax penalty Obamacare could inflict on small businesses who refuse offer health insurance. The penalty is called the free rider penalty: if a small business that does not provide health insurance has more than 50 employees, one of whom receives federally subsidised insurance on their own, they must pay a $2000 penalty for every employee (deducting the first 30). So a company with 51 employees would have to pay $42,000 per year in additional taxes. This could be a problem for businesses that have fewer than 50 employees but are looking to expand. 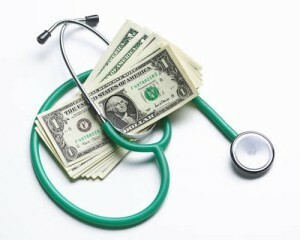 They would have to run the math and see if it is more costly to purchase a health plan or to simply pay the fine. This is ultimately a mandate for companies with more than 50 employees. The result could be companies deciding it is too costly to expand or looking for ways to skirt the law like shifting employees to part-time. As it stands 96 percent of small businesses are under this threshold. That does mean 200,000 businesses have a rather unpleasant decision to make. But for businesses with less than 25 employees making an average salary of $50,000 or less there is a Small Business Health Care Tax Credit that will cover 35 percent of the premiums and that number will jump to 50 percent in 2014. The Congressional Budget Office estimated that the law will save small businesses $40 billion by 2019. But as we wait for states to set up their exchanges or not, there is still the factor of uncertainty and confusion going forward. Two factors that never bode well for business. Overall, it doesn't seem like the ACA will do much to harm small businesses. However, there will be some caught in the crossfire. What do you think?